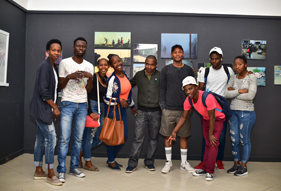 “Art speaks to people in various forms; you express yourself through art and you give an articulation through art, “said Mr Clive Mbembe, an archivist, and a project manager for the struggle route history who was the guest speaker at the Vaal University of Technology (VUT) Visual Art and Design collaborative exhibition with the Springs Art Gallery in Ekurhuleni. 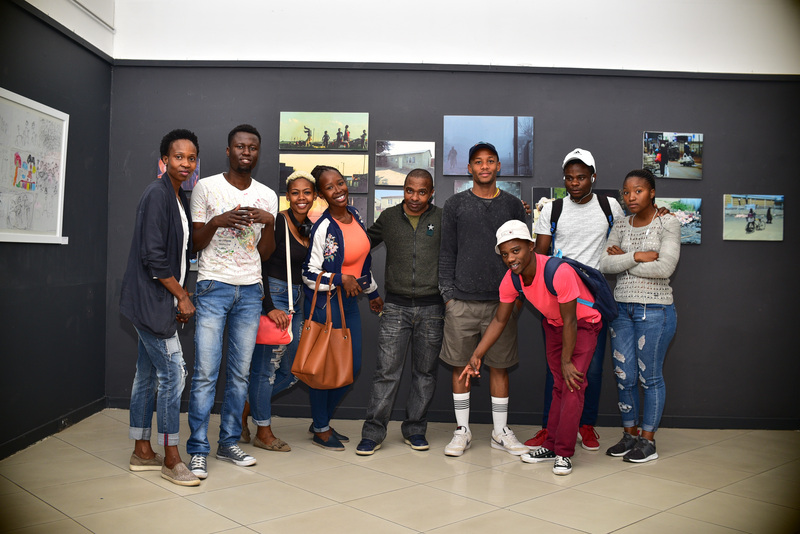 The combined art and photography exhibition, with work produced by students from the City of Ekurhuleni’s Art Development School ‘s Art as Healing and Photography Project, showcased the work of primary and special needs school children. The creative pieces included paintings, collages, photographs, prints, and drawings made from crayons and foreign objects. Each art piece told a story, in its own interpretation in the mind of a particular child, about our country’s history. The teachers, who are part of the community outreach programmes to teach the children art, do it pro bono; they simply decided to share their talents with the effort to encourage kids to explore with their minds and use art as an escape. The pieces could be mistaken for works done by artists who have been through years of training and polishing, but it is the works of extremely talented and artistic children who may have future careers as artists. “Groom a child at a young age so that by the time they reach tertiary they just need to polish their skills,” said Ms Nkululeko Khumalo, a lecturer.